The teaching faculty at Heartworks, Steamworks and Loveworks Schools have earned a degree in early or elementary education with many holding a Vermont Teaching License and/or have comparable educational training and experience. Throughout the year, teachers and directors participate in professional development programs, both on and off-site, aimed at expanding and improving their teaching skills and enhancing the mission of our Schools. We are dedicated to providing a program based on quality and consistency in all of the schools. All of our faculty and staff are asked to embrace a heartful and peaceful approach with children and to uphold the philosophies of the school. Before becoming a member of the Heartworks community in 2016, Haley graduated from Castleton University with a Bachelor of Arts degree in Elementary Education. She has taught Pre-kindergarten in Heartworks Shelburne for two years and has two years prior to that of teaching preschool in another early education program in Vermont. She also has experience teaching both Kindergarten and Third Grade students. Haley has always gravitated towards working with children; she also organized an after school book club to increase literacy within young girls while at Castleton University. Haley grew up in Brookline, Vermont and has been living in Burlington since 2014. She loves the outdoors and enjoys running, biking, skiing and spending time with family. Emma has a Bachelor of Arts degree in Elementary Education and History from St. Michael’s College. She is originally from West Hartford, Connecticut. Emma fell in love with both the state of Vermont and the idea of teaching here during her college experience, and could not be more excited to join the STEAMworks community. Working with children has been a lifelong goal and passion, and this idea has only been strengthened throughout the last four years throughout her teaching experiences. Before joining STEAMworks in 2017, Emma had experience in teaching third grade and was a nanny for families with young children for five years. While in College she was a CORE Team Leader for Best Buddies, and a mentor for the Little Brother Little Sister program. In her free time, she loves photography, skiing, and going on adventures to anywhere; especially places that have sunflowers! Taylor has a Bachelor of Science degree in Art Education and a minor in Art History from the University of Vermont. She completed her student teaching in two different public schools working with students from Kindergarten through Sixth Grade. Prior to joining Heartworks in 2018, she ran two summer art camps. She grew up in Colchester, Vermont. Outside of the classroom, she enjoys creating art particularly drawing and painting, riding horses, spending time outdoors, and spending time with family and friends. Lauren has a Bachelor of Science in Elementary Education from the University of Vermont. She first started working with preschoolers in a high school technical program for Early Childhood Development at the Burlington Technical Center. While at the University of Vermont, she participated in many semesters in Elementary Schools and Afterschool programs. During summer vacation between her Sophomore and Junior years at UVM, she traveled to Tanzania, Africa to volunteer in an English Medium Primary School in a remote village and climbed Mount Kilimanjaro while there. After college she traveled and explored various types of farming during the summer, including tropical flower, vegetable, and livestock. She has most recently been a Farmyard Educator at Shelburne Farms, and a ski instructor for children for the last four winters both in Vermont and Idaho. In her free time, she loves skiing, hiking, biking, spending time with her family and animals. Andrea has a Bachelor of Science degree in Elementary Education from the University of Vermont. She had more than four years experience of teaching two through five year olds prior to joining STEAMworks in 2017. Andrea is a native Vermonter, growing up in Burlington. She has always had a passion for teaching young children. Andrea loves watching children grow physically, mentally, and socially throughout their younger years. When not teaching at STEAMworks, Andrea enjoys getting creative in the kitchen, skiing, running, and being outside in general. Molly has a Bachelor of Science degree in Early Childhood Education and a minor in Special Education from the University of Vermont. 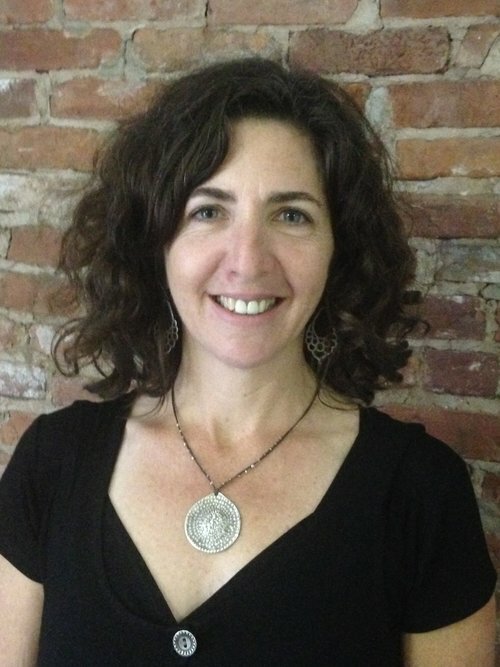 She holds a Professional Educator's License from the state of Vermont for Early Childhood Education. After graduating, she moved to Phoenix, AZ to teach Kindergarten for a year. This experience taught her more than she could imagine, especially for preparing children for Kindergarten, and she is delighted to be back in Vermont and the mountains! Working with children has always been her passion. Molly joined STEAMworks in 2017. Outside of teaching, she loves to hike, run, and wander through farmer’s markets with her closest friends. Joanna has been singing and making music for most of her 47 years as a performer and teacher, and for hospice clients in our community as a singer/director with the VNA's Noyana Singers. She studied voice at Indiana University and received a Vermont teaching license and Master's degree in Integrating the Arts into Education from St. Michael's College. Joanna is a certified Music Together teacher and center director. Her most recent musical endeavor was a week-long workshop learning to lead Bobby McFerrin-inspired Circle Songs. She joined Heartworks in 2015 and is the mother of 2 music-loving boys. Joanna's best musical influences were her parents, whose love of music made for a lot of singing in the car. STEAM Art Teacher Melanie Sroka is a gifted musician and is well versed in the art of musical theatre. She will be traveling to the Heartworks and STEAMworks preschools sharing her love of music, dance and drama with your wonderful children. Melanie graduated from Westfield State College with a bachelor’s degree in Music Education and has been working with children for more than 20 years. She has directed and co-directed plays such as “Pirates of Penzance” and “Aristocats” and is part of Gaia Roots, a multicultural women’s group with whom she traveled to Cuba to study music, dance and culture.